The Region Nine Development Commission’s Comprehensive Economic Development Strategy (CEDS) Annual Performance Report for Blue Earth, Brown, Faribault, Le Sueur, Martin, Nicollet, Sibley, Waseca, and Watonwan counties has been developed and is in the process of being approved. The CEDS is posted in accordance to EDA’s regulations found in the Federal Register at 13 C.F.R. part 303. As the designated Economic Development District by the U.S. Economic Development Administration for the nine-county area of South Central Minnesota, Region Nine is required to coordinate and develop the CEDS for the region every five years and submit a supplemental annual performance report for subsequent years. This strategy is designed to be an action-based economic plan to diversify and strengthen the regional economy. The strategies outlined are derived from locally-based, regionally-driven planning sessions with representatives from private business, higher education, labor, education, government, and community-based organizations. 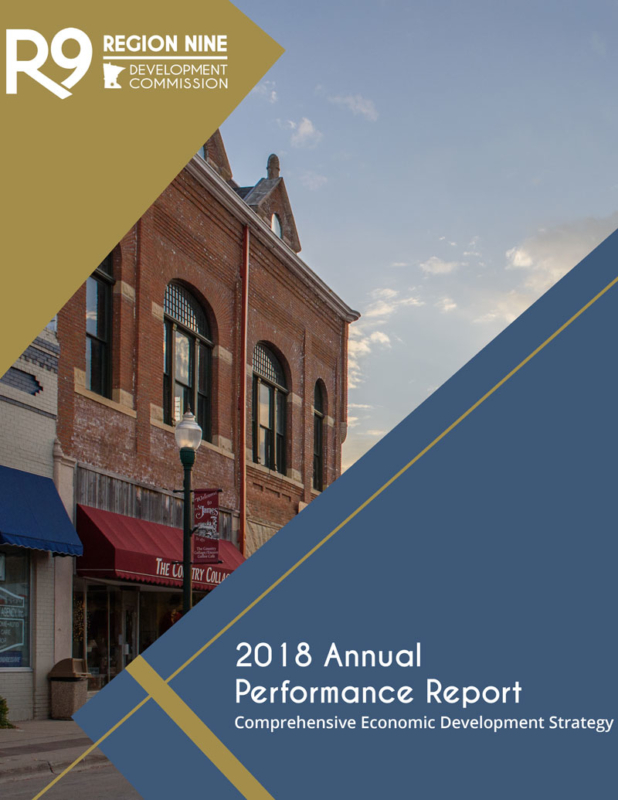 The annual performance report can be viewed by clicking the image on the right. A paper copy will be made available upon request.